With his National Geographic credentials, Gallagher, who has been based in Beijing for the past decade or so covering environmental crises through his lens, gathered a pool of a few dozen professional photographers and wildlife scientists as contributors, allowing the feed to be updated at least once or twice a day. By the time of going to press, Everyday Extinction had 69 posts. 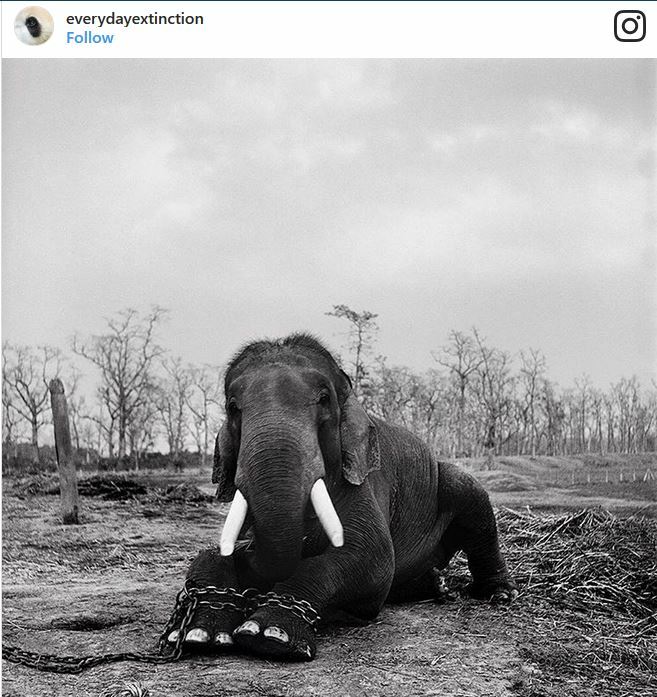 A quick scan of the offerings shows moving and awe-inspiring shots, including one of a mountain gorilla and his “adopted” human embracing in a sanctuary in the Democratic Republic of the Congo and an eerie black and white portrait of a bull elephant in Nepalʼs Chitwan National Park, his legs chained cruelly together. If you can take it – for me these things make me desperately sad and angry.